Organized action "Clean up the World" will be held in Vani municipalityalong Vani – Gomi road section. Organized action "Clean up the World" will be held in Lentekhi municipalityand all streets will be cleaned up during the action . Organized action "Clean up the World" will be held at St. George's Church Yard, Sports Center, Gamgeoba Center, 9 April Park, yards of Kindergartens, Theater and Stadium vicinity areas, neighborhoods of Makvala Kasrashvili art school. Organized action "Clean up the World" will be held in Tskaltubo municipality in the neighborhoods of Tskaltubo – Tsageri motorway and in the vicinity of Tskhunkuri – Kvilishori road section. Organized action "Clean up the World" will be held in Khoni municipality. During the action will be cleaned up the village centres, market neighborhood area of the town, as well as central nursery, territories adjacent to the bus station and former canning factory. Organized action "Clean up the World" will be held in Akhaltsikhe municipality. During the action will be cleaned up Gurgeniani waterfall trail, Alazani River shoreline in village Leliani. Organized action "Clean up the World" will be held in Dedoplistskaro municipality on the territories of Chachuna Managed Reserve Area. Organized action "Clean up the World" will be held in Abasha municipality. During the action will be cleaned up the town centre, neighborhoods of motorway and railway station, yards of production and service industries, village centres. 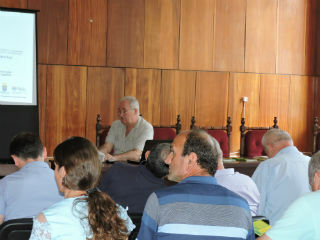 Organized action "Clean up the World" will be held in Senaki municipality . Will be cleaned upthe river Tekhura shoreline in Nokalakevi, village Menji-sakharbedio watershed area, roadside of 10 km section of Nosiri-Teklati motorway, all village centers . Organized action "Clean up the World" will be held in town Akhaltsikhe .will be cleaned up the territories adjacent to the central road of the city and Sapara-Uraveli road surrounding areas. NGO Ecological Awareness and Waste Management (EAWM) conducted an awareness raising meeting in the Municipality of Keda, Adjara region on September 1, 2017 in the framework of ‘Clean Up Georgia – Phase III” Project. 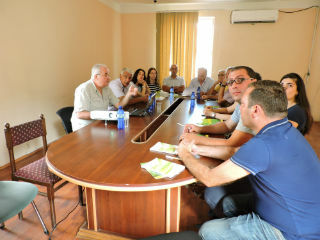 The aim of the meeting was to inform Keda Municipality on the hazardous waste (in particular, chlorine/chemicals) on the territory of Georgia and its negative impact on human health and the environment. NGO Ecological Awareness and Waste Management (EAWM) conducted another awareness raising meeting in the Municipality of Shuakhevi, Adjara region on September 1, 2017 in the framework of ‘Clean Up Georgia – Phase III” Project. The aim of the meeting was to inform Shuakhevi Municipality on the hazardous waste (in particular, chlorine/chemicals) on the territory of Georgia and its negative impact on human health and the environment. NGO Ecological Awareness and Waste Management (EAWM) conducted an awareness raising meeting in the Municipality of Kharagauli, Imereti region on August 29, 2017 in the framework of ‘Clean Up Georgia – Phase III” Project. The aim of the meeting was to inform Kharagauli Municipality on the hazardous waste (in particular, chlorine/chemicals) on the territory of Georgia and its negative impact on human health and the environment. 2017-09-05 Meeting at the Division for Environment and Natural Resources of Adjara Autonomous Republic. NGO Ecological Awareness and Waste Management (EAWM) conducted an awareness raising meeting in Batumi (Adjara) at Division for Environment and Natural Resources of Adjara Autonomous Republic. on the hazardous waste (in particular, chlorine/chemicals) on the territory of Georgia and its negative impact on human health and the environment. 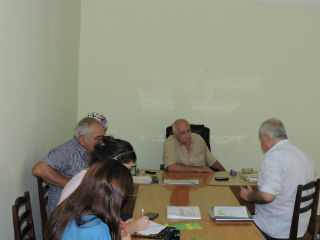 On August 21, the Greens Movement of Georgia / Friends of the Earth Georgia initiated a meeting on waste management issues in village Rokhi, Baghdati Municipality, within the framework of the project "Clean Up Georgia Phase III". 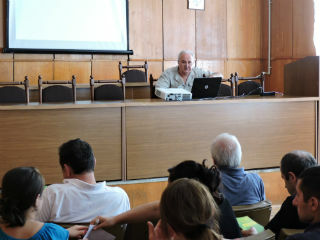 The meeting was organized by local coordinatorof the Greens Movement and its purpose was to provide local population with information on planned activities of the project "Clean Up Georgia Phase III",as well as problems related to waste management in Georgia, obligations of municipalitiesand world experience in the field of waste management.